A story we did not get to yesterday, is the announcement of two new lenses from Canon. The 24-70mm f/4 L IS is quite exciting. With the EOS 6D on its way and the price of the new version two 24-70 f/2.8 L being a heck of a lot higher than its predecessor, this lens should find a home in many peoples camera bags. 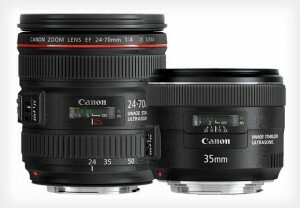 I am more intrigued however by the other little lens announced, the EF 35mm f/2 IS. The 35mm has always been a favourite lens for me when shooting on film or full frame and a 35mm f/2 has been in my camera bag when I shot on Pentax, Nikon and Canon. The fact that this version has image stabliser is great. Looking forward to trying out both of these lenses soon. Also announced with the new lenses is that fact that Canon are changing to new lens caps which have pinch clips in the middle, similar to what other manufactures have been doing for some time.